Indian Skull Short Sleeve T-shirt | BUDK.com - Knives & Swords At The Lowest Prices! 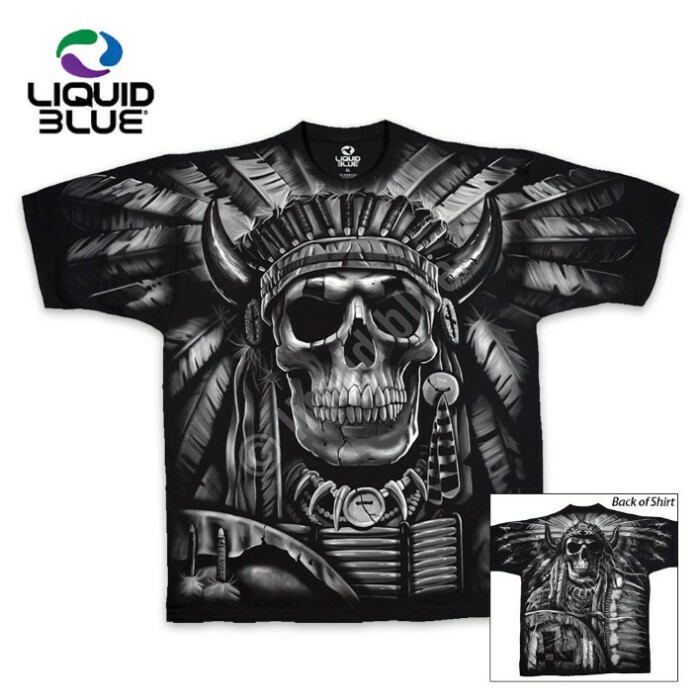 Go tribal and get your fashion fix with this brand new Indian Skull short sleeve t-shirt. This 100% cotton t-shirt features an eye-catching tribal skull design that will get you noticed!